Egham 12 October, 2017 – OKI Europe Ltd has launched a new software solution which when integrated seamlessly with its recently launched, sophisticated ES9476 MFP will transform this multifunction printer (MFP) into a medical image printing device. OKI’s DICOM RIP Pro software enables hospitals and healthcare clinics to add value to their services by providing patients with their medical images in the form of a high-quality saddle-stitched finished booklet, printed in-house and on-demand. This new package complements OKI’s existing range of DICOM-embedded devices. Whereas images for diagnostics are usually stored on a PACS system or burnt on to a DVD to be seen by clinicians only, these non-diagnostic medical images provide referring doctors with a tangible way to explain to their patients the results from x-ray, MRI, CT and ultrasound scans. An A3 colour booklet may, for example, show progress of treatment – or a proposal for treatment, helping patients make an informed decision. When the images are of an ultrasound scan of mother and unborn baby they will provide a lasting keepsake. 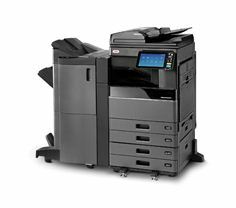 With a 9” tablet-style colour touch screen, OKI’s ES9476 MFP includes advanced security features making the device ideal for use with even the most confidential of documents. Sophisticated user authentication prevents unauthorised access to the device, increasing security and privacy, therefore patient documents are safe. “Using OKI’s DICOM RIP Pro software the device will integrate with clinical systems and document workflows. The software provides up to twenty-five (25) booklet design options to enable personalisation and to ensure brand consistency,” says Patrick Rabel, Managing Director, Medical Solutions Department, OKI Data Corporation. The ability to integrate OKI’s new DICOM RIP PRO software with the ES9476 MFP enhances OKI’s already established DICOM portfolio. A first in digital printer technology, OKI’s range of medical printers combine the cost effectiveness and high quality output of an LED printer with embedded DICOM software, allowing medical and health organisations to print directly from medical equipment.